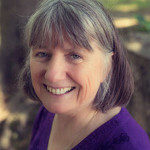 It is our pleasure to introduce you to Mother Clare Watts and her latest book, Mystical Roses of Peace. 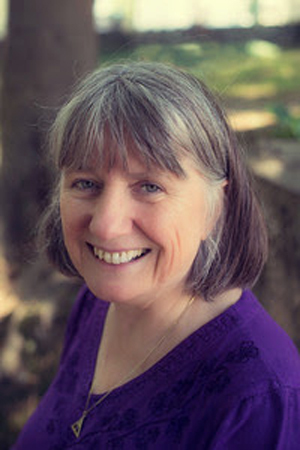 This is Mother Clare’s second book about Christian Mysticism, and in it she has compiled a bouquet of spiritual teachings that speak directly to the reader’s soul, guiding them through the tender terrain of the heart to true inner peace. 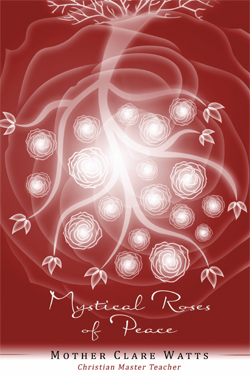 Filled with wisdom, fire, love and practical advice, Mystical Roses of Peace serves as a guidebook for those seeking God. In each lesson Mother Clare acts as a bridge between where we are and where we find God by weaving together her deep understanding of the great mystical truths with the practical steps one must take to take to cross that bridge. ‘The Rose is a mystery’ – where is it found? Is it anything true? Does it grow on the ground? And its place is a secret, and shut in the skies. What was its season, then? How long ago? Since its birth, and its bloom, and its breathing its last. I first learned about the existence of spiritual master teachers when I was 18. I was instantly fascinated and decided that nothing in my life mattered more than to find a real spiritual teacher who could take me all the way into the heart of God. I didn’t know exactly what that meant, but I felt very sure in the deepest part of my being that I needed to find a teacher and ask him or her to help me find God. For ten years, the search for my teacher led me through living in two yoga ashrams and a Sufi spiritual training school and eventually to a real teacher who was willing to teach me in the mystical Christian tradition. After 12 years of training with master teachers, during which time I served as a deacon minister, I was ordained a mystical Christian priest and began to teach others through a women’s order that I founded. In 2001, I was ordained a master teacher myself. 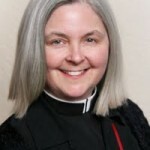 The all-women’s order became a men and women’s order, which I co-founded and now lead with Father Peter Bowes. Though there are highly inspirational writings from a number of great mystical teachers throughout history, my students often find those writings don’t answer their questions that pertain more to their earthly lives. How are they supposed to fit a spiritual life into an already busy schedule? How do they find the right teacher for them? How can they go deeper spiritually and give more to God? This book is an answer to many such questions. Though I am deeply mystical in my practices and orientation, I recognize that a bridge is needed between daily life issues and questions and the lofty heights of union with God. My aim is always to be of guidance and support to seekers no matter where they are along their path toward union with God. I offer to you, my readers, these chapters as little mystical roses. The great Mystical Rose is Mother Mary, known as such by many of her devotees. My prayer is that the simplicity, clarity and purity that is so characteristic of Our Mother will come through to you as you read these teachings. May each chapter answer some questions that have kept you stumped, illuminate an issue that has long troubled you, and inspire you to keep seeking God until you find God and come into ecstatic union with that unfathomable love at the center of your being. And may you deepen in peace through the unfolding of each of these mystical roses within you.